In Helicopter Emergency Services (HEMS) around the world, winching to critically ill patients is an important aspect for those in patients otherwise inaccessible by road transport. Most HEMS services have paramedics as the primary medical responders who are winched to patients, however, in some services physicians who are on-board are also winched resulting in a two clinician operation. For a North American (like myself, Andrew Petrosoniak) this idea of physicians on board the helicopter, nevermind winching to patients is completely foreign! But in HEMS operations around the world, this is a reality. At ARHT we routinely winch highly trained paramedics to patients but less commonly are physicians required to be winched during a job. However, all our physicians are trained and ready depending on our task assignment. 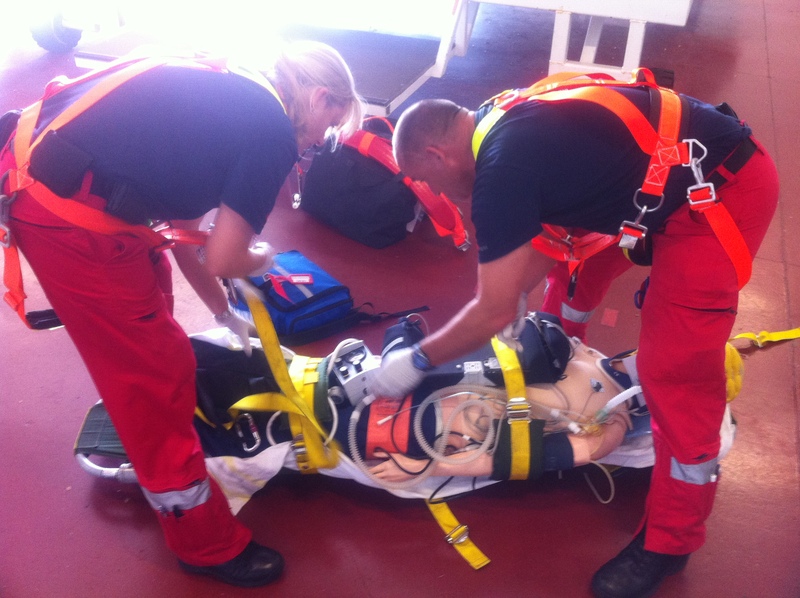 I wrote this post after conducting a recent simulation involving a two-clinician stretcher winch. The simulation was designed after discussion with our paramedics and also review of several recently published articles. 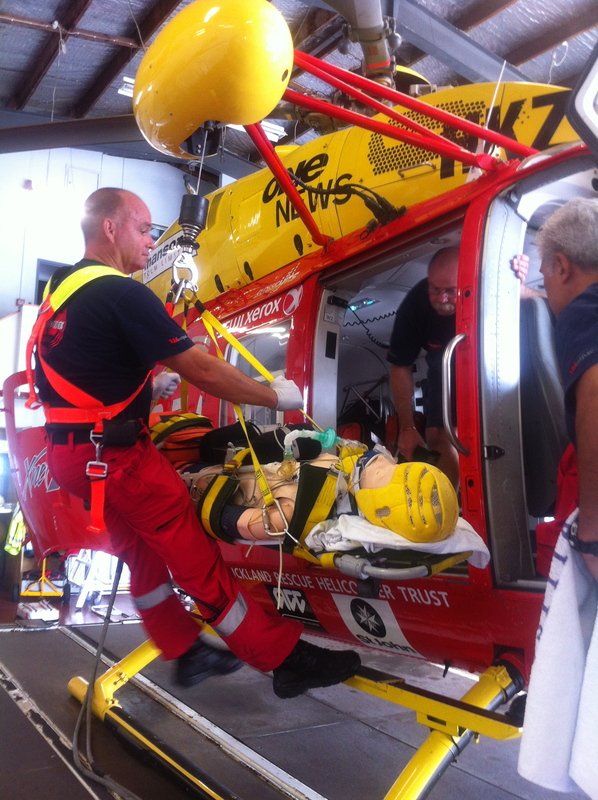 The Greater Sydney Area HEMS group, a service with a well-established physician winch program, just published their experience over the past 3 years. They reported 130 missions (8% of total missions) where a physician was winched along with a paramedic. Interestingly, in less than 50% of cases was a physician only intervention performed. Most of these interventions involved the administration of ketamine. If we compare this to our service, our numbers would certainly be different since our paramedics are trained to administer ketamine. Some of the comments & editorials following this publication did focus on this fact. Questions emerged as to the need to winch physicians if most of the requirements involves the administration of ketamine? What could be argued is that frequently involving physicians in winching improves experience levels and potentially reduces risk to the providers – furthermore there could be other important factors for physician presence that I articulate below. There was a small but important number of other interventions like RSI and orthopedic procedures that required physician expertise. What wasn’t well described was the importance of having two clinicians to treat the patient. In many instances, having two sets of hands and a second set of eyes for patient assessment can be crucial. It’s difficult to formulate any significant conclusions based on this data but it’s important in evaluating the tasking and training necessary to integrate a physician within the winch rescue team. 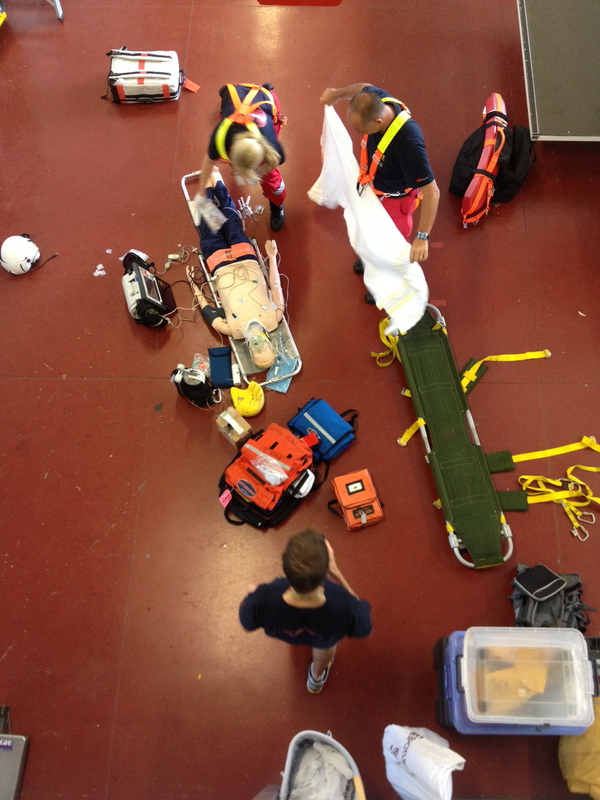 Stretcher winch simulation in action. This data will be helpful for those services who currently or are planning on integrating physicians within their existing winch system. A second paper, which I won’t review, also reports positive outcomes from their winch rescues involving physicians. Finally, the Sydney HEMS group must be commended for describing a bag valve mask failure during a job. We should encourage reporting such as this as it contributes to the culture of safety that is vital for helicopter rescue services. Based on these papers during a winch of an intubated patient, we conducted a simulation of our protocols for winching intubated patients. Several pictures are included below that were taken during the simulation. This exercise was extremely successful as it combined a review of the evidence with a review of our protocols. Implementing in-situ simulation as a training method offers an excellent opportunity to practice high-risk procedures in our own work environment. We were able to evaluate our experience using an evidence-based approach. The merits of physician winches during HEMS rescues will be subject to further debate. The data that I outlined above is far from conclusive, however, these publications are important pieces to incorporate into training curricula for other HEMS operations. Our in-situ simulation training is only enhanced by having access to the experiences of others. This entry was posted in HEMS Personnel, Simulation and tagged articles, helicopter, HEMS personnel, winch by petro82. Bookmark the permalink. Reblogged this on Sim and Choppers.